This dance is an original dance choreographed by Joseph Bagert and Alyson Vu. The dance is a collaboration of the traditional Vietnamese fan and hat dances. The choreography was divided into two components, fan and hat. Joseph choreographed the hat section and Alyson choreographed the fan section. The dance was comprised of 20 LSU students who are all members of VSA-LSU. The group started practicing in mid-February, and the first performance was at the UVSA Gulf Coast Culture Night. Other than the Culture Night, the dance was performed at LSU’s International Fusion, an event hosted by the International Student Association, and LSU’s VEGA (Vietnamese Entertainment, Gala, and Awards) Night. Practices were held three times a week: Sundays, Mondays, and Fridays. The song used in the dance was the EDM remix of “Y.E.U.” by MIN of St.319 and the final cut was made by Michael Sullivan, another member of VSA-LSU. The performance was a traditional dance with a modern twist. The dance began with the hat portion. Towards the end of the hat part, the fan dancers came onto stage and started their portion when the hat dancers parted off stage. After the fan part, the hat dancers came back onto stage and there was a collaboration dance with both fan and hat dancers. This dance branched off of the cultural dance that was performed by VSA-LSU last year. Last year’s dance was comprised of only females and had only hat dancers. This year, the dance evolved into having both males and females and included both hat and fan dancers. The purpose of this dance was to bring more culture to VSA-LSU members. Most of LSU’s members have never participated or even been exposed to a cultural dance. 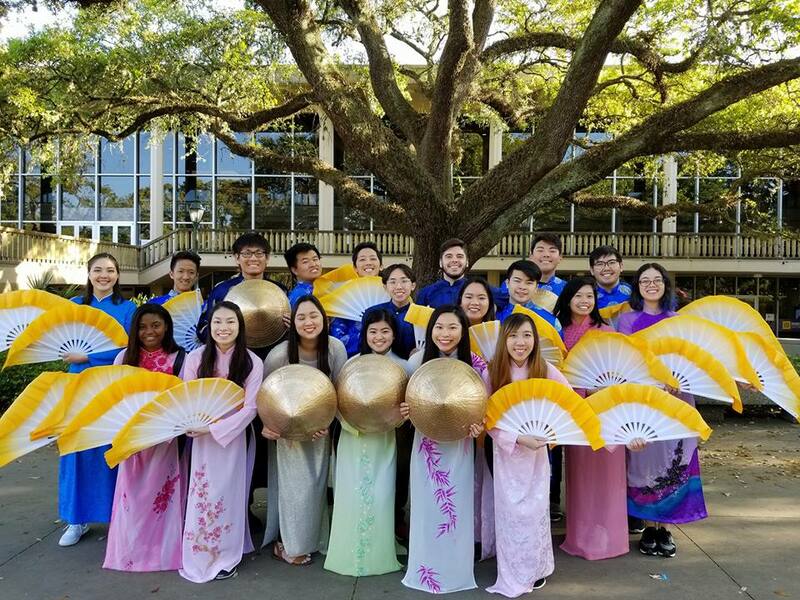 This was a fun way for members to be able to get more involved and participate, not only in VSA-LSU, but in the Vietnamese culture.